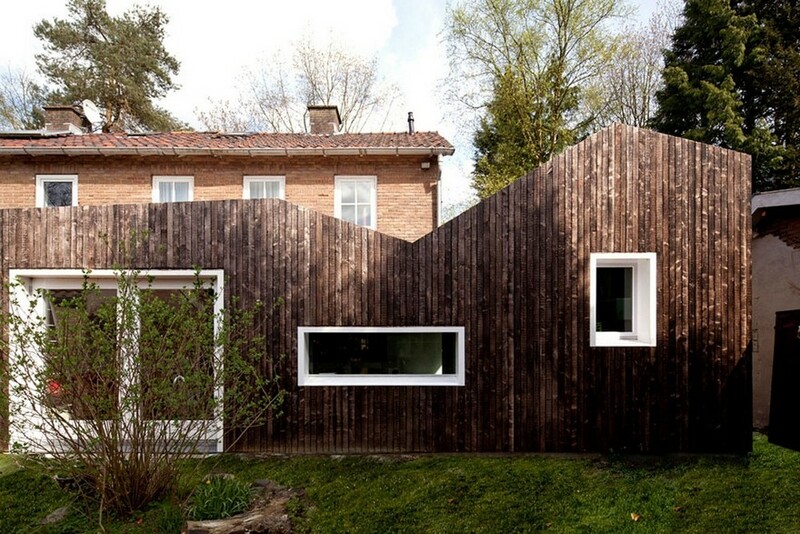 You don’t always need expensive materials to get a non-standard house exterior. After particular treatment even a plain pine board can look absolutely different. 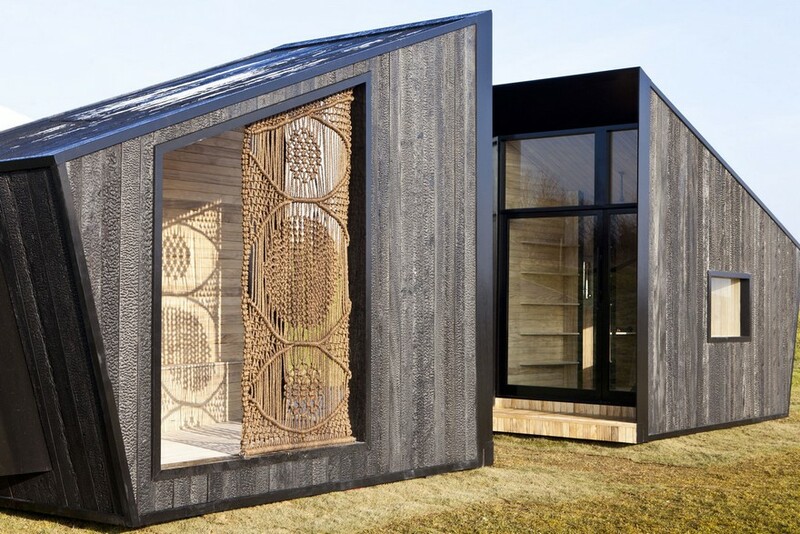 For instance, getting more and more trendy in Europe is charred wood siding. This building material is somewhere between fashion and exclusivity. On the one hand, very few people are acknowledged with this technology, and on the other hand, architects and designers got a taste for it long ago. For some reason it is generally believed that the first nation to use burnt wood in house building was Japan. But there is a historical proof that ancient Slavic tribes had been aware of the fact that charred wood is more durable than common one long before the people of the land of the rising sun. For instance, when building wooden house foundations and fences, they protected the part that was supposed to be underground from rot by charring it. 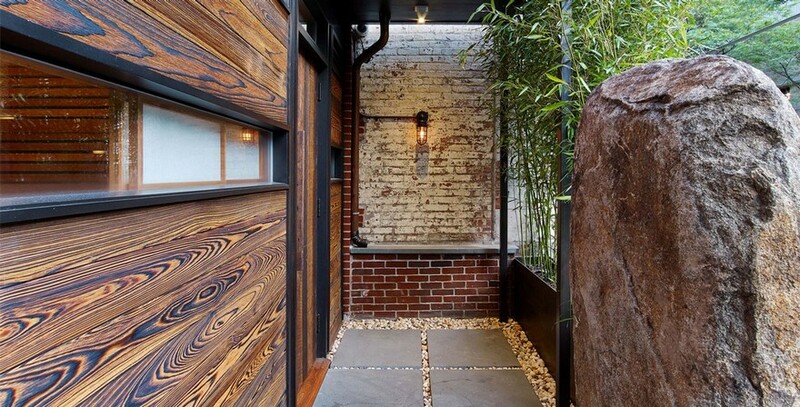 Yet, it is fair to say that the idea to use charred wood, in particular cedar and cypress, for exterior purposes was born and adapted in Japan and became an integral part of Japanese architecture. 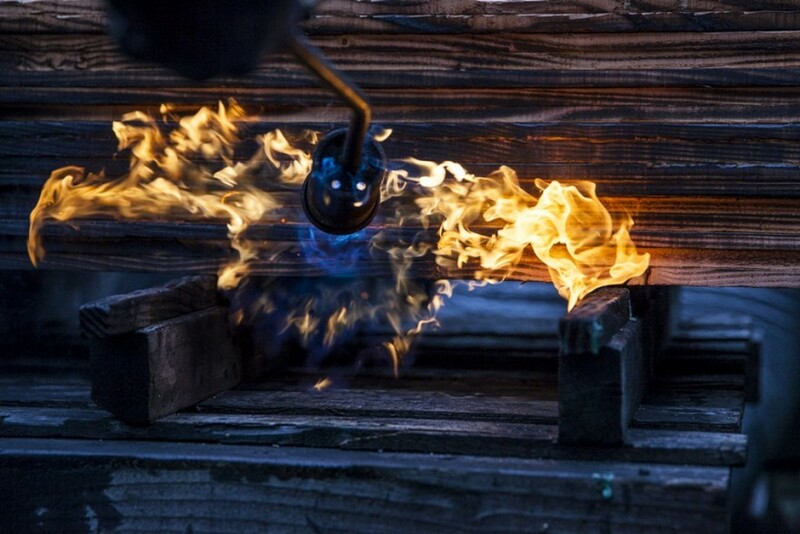 The process of burning wood in Japan is named “Shou sugi ban”, which stands for «burning cedar». This technology is still preserved at Japanese manufactories. Siding treated this way keeps its splendid characteristics and appearance for more than 80 years. It’s absolutely resistant to insects and fungi, and surprisingly …fire-resistant. 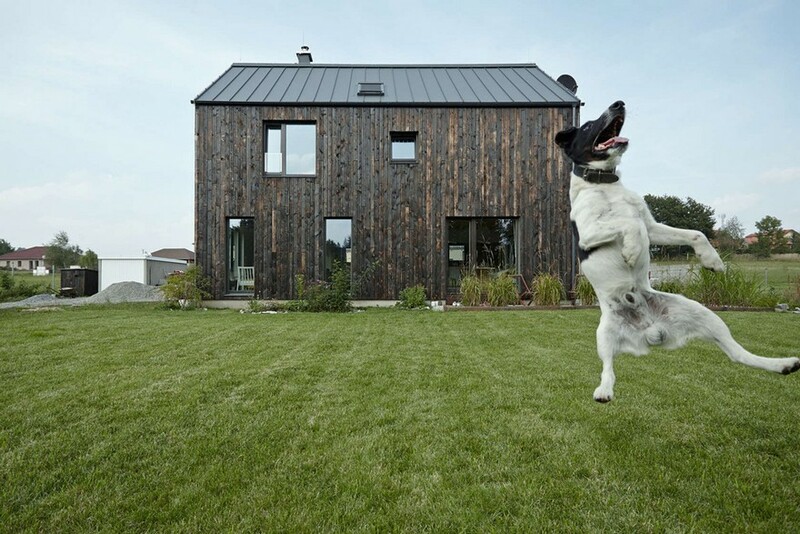 Non-standard and authentic look of charred wood didn’t go unnoticed in Europe and America; qualified architects and designers from all over the world resort to burnt wood in pursuit of exclusive buildings and interiors. 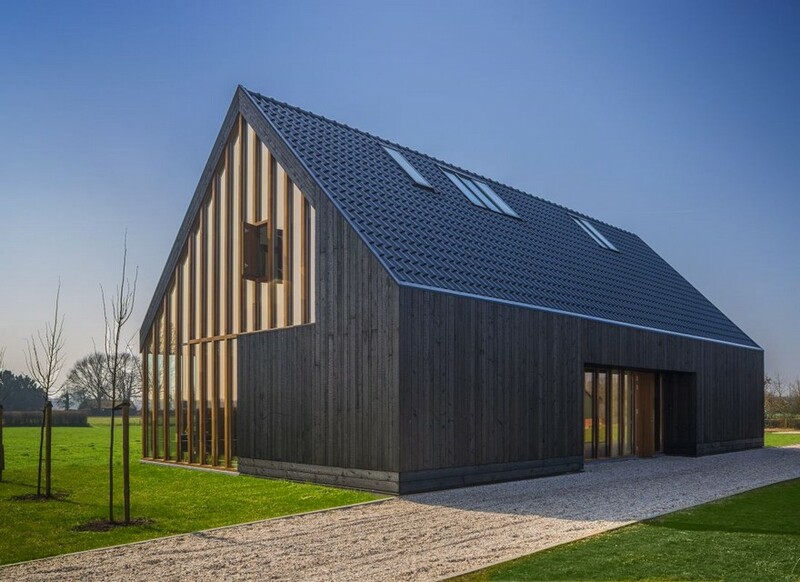 One of the first famous architects to use this material for both exterior and interior in modern times was Pieter Weijnen from the Netherlands. 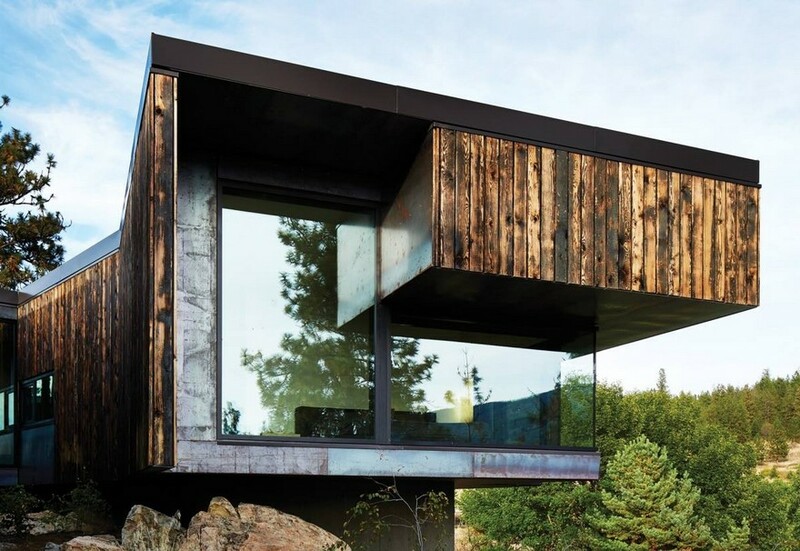 A house with burnt wood siding is a sight to behold – charred wood makes facades shine with noble silvery-black glow. However, both the final color and grain depend on the level of “roasting”. Heavily burnt surfaces are black with bluish tint and have a crocodile skin texture; that is exactly the type favored by the Japanese designers. 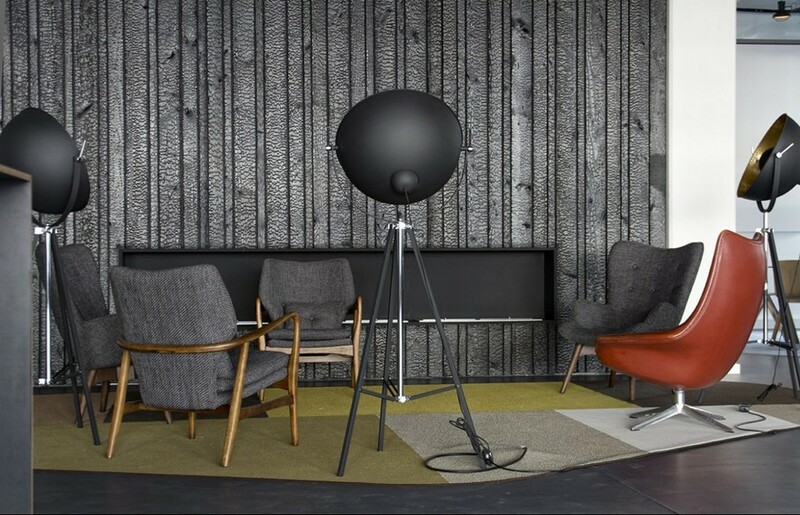 Medium option entails revealing natural wood grain from coal-black to dark brown. The slightest level of burning makes wood just a little built soft smoked. Not so many people know about this technology, especially when it comes to exterior design. As a rule, country house owners do not go beyond small garden details in charred wood – gazebos, decorative wells, benches or fences. 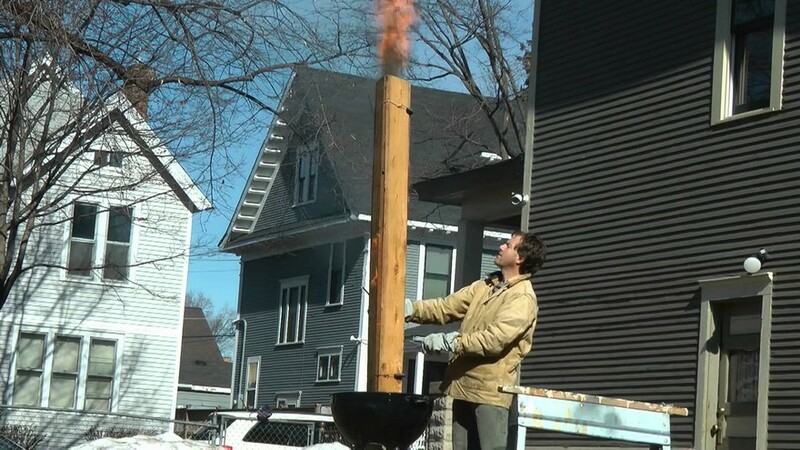 Meanwhile, theoretically the genuine Japanese technique of burning wood is quite simple. For a start you should put three boards in the shape of a vertical triangular or tunnel-like construction. The fire is started in the bottom part. The intensity of draught inside the tunnel will be so high that if you do everything right the fire will quickly spread within the tunnel and will break out outside, like in a torch. In the open flame wood gets deeply charred very quickly. How long it should burn is the matter of choice. The Japanese, for example, burn the wood until a layer of 3-5 mm gets completely charred. But such a technology has a considerable disadvantage – it takes much experience to have boards evenly charred along their length. If you prefer to have full control over the degree of firing, you should definitely use a gas burner. Slightly treated lumber becomes free of roughness and gets a sweet golden tint. In the case of longer charring the material gets silvery-black. Sometimes uneven firing helps to obtain the effect of “wood glimmer”. As soon as the wood is charred, it’s treated with wire brushes, polished and rinsed. The final look of wood appears to be extremely durable, with a clearly visible wood grain and saturated dark color. Besides, after polishing and rinsing the surfaces will never dirty your garments. 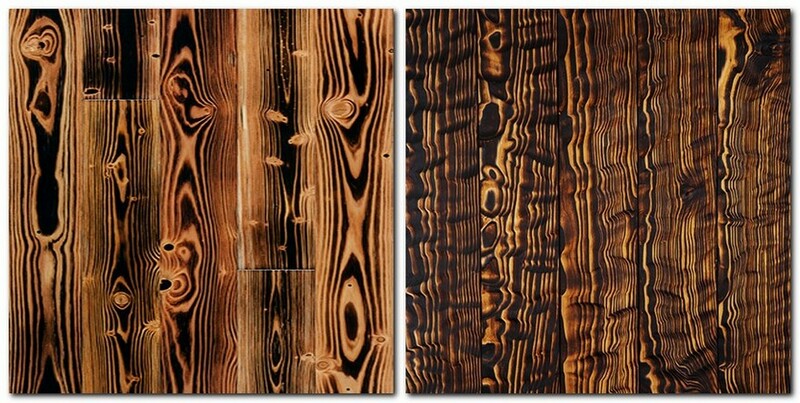 Different species of wood are differently susceptible to thermal stresses, so the color and texture revealed after removing the charred layer will vary. Besides, special attention should be paid to humidity conditions – damp wood hisses and wouldn’t burn. To enhance the decorative effect of charred wood even more, burnt, polished and rinsed lumber can be coated with oils or clear varnish. But it’s just a matter of choice – the result will be equally durable and spectacular anyway.